So, do you see your virtual cable if you open your windows recording devices? 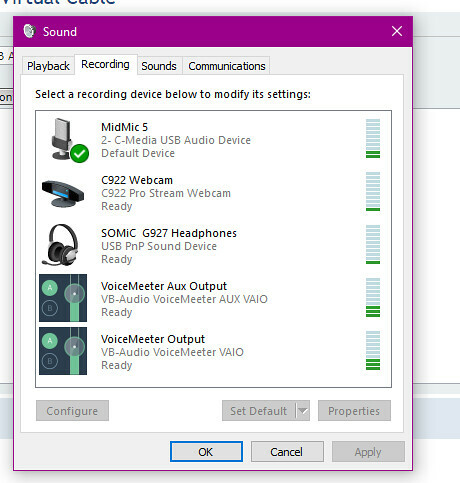 Do you see it there on your machine, but you just don't see it as an option when you open voicemeeter? Just starting with the simple things to make sure you have it properly installed on your machine. The reason I asked is the second picture you posted that shows your virtual cable control panel is not the virutal audio cable, but rather the Voicemeeter VAIO virutal output. 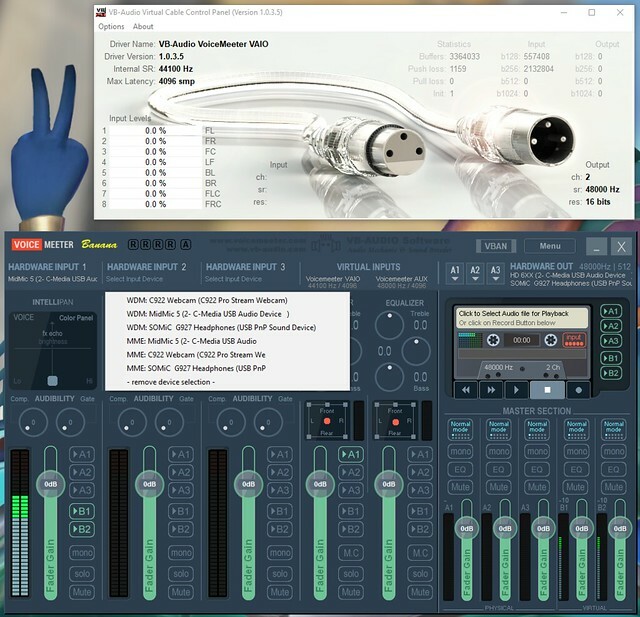 Voicemeeter won't propose you to connect to this Virtual Audio I/O to avoid loop back. 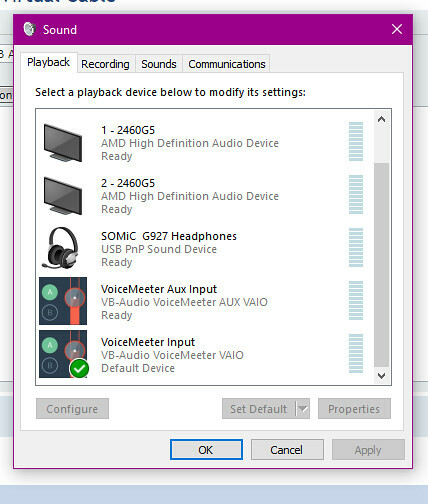 ok sorry i dont understand, how do i use vb to split my game audio from my desktop audio? is there something that i am missing? in this configuration you are getting all PC Sound on Voicemeeter Virtual Input. then you can send both virtual sources (PC-Sound & Game sound ) on different BUS (outputs). 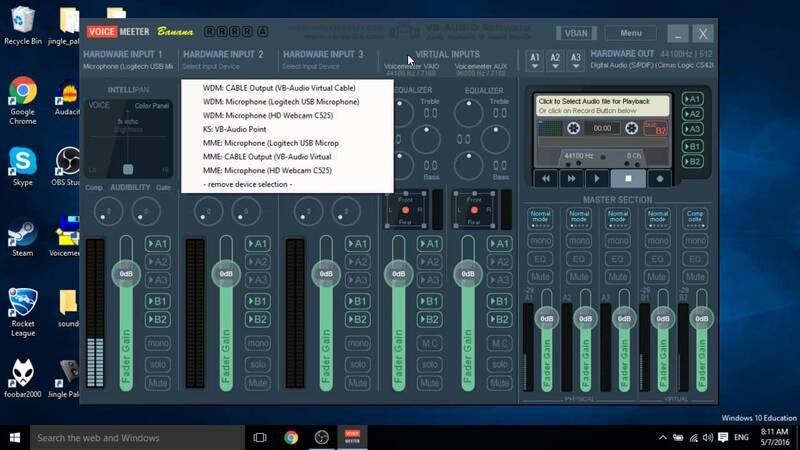 Once you download and install it you will see a new virtual audio cable show up in your recording and playback devices section of windows and you will also see it show up in your dropdowns within Voicemeeter Banana. Then you will be able to uses the vritual audio cable as a hardware input. Just checking in... Were you able to get things sorted over the weekend? Let us know.